The 1996 TV-movie DOCTOR WHO was a co-production between BBC Worldwide in England and Universal, 20th Century Fox, and the Fox Network in the USA. It was both an attempt to revitalize the long-time British TV series that had been cancelled in 1989, and a potential pilot for an American-based series. The show was entertaining and well-reviewed in England but did not generate sufficient interest to launch a continued series. Thus, British actor Paul McGann became (in his own words) “the George Lazenby of Doctor Who” (albeit exceedingly popular in Eighth Doctor comics, books, and audio adventures; and he did appear in the 2013 mini-episode, THE NIGHT OF THE DOCTOR) and it would be another nine years before DOCTOR WHO’s ultimate resurrection with a revitalized series under the oversight of producer and head writer Russell T. Davies. One of today’s top film composers with such notable and multi-faceted scores as STONEHEARST ASYLUM, BONNIE & CLYDE, JOBS, PREDATORS, IRON MAN 2, THE STONING OF SORAYA M, and THE PASSINO OF THE CHRIST, John Debney has provided effective and memorable scores in every genre. His music for DOCTOR WHO provided a Hollywood-styled sci-fi action score (featuring what one British critic described as “Spielbergian strings”) while respecting the iconic Doctor Who signature theme of Ron Grainer (whom the film’s distributor, Fox Television, neglected to acknowledge on the film’s initial release). At the time he was hired to score DOCTOR WHO, Debney had just completed scoring his exciting, swashbuckling score for Rennie Harlin’s pirate adventure, CUTTHROAT ISLAND and had completed scoring three seasons of Universal’s TV series SEAQUEST DSV (1993-96). One of SEAQUEST’s producers had been Philip David Segal, who was executive producer on the DOCTOR WHO TV-movie, which may be what brought Debney on board. While interviewing Debney on another topic in December of 2013, I had the opportunity to ask a few questions about his involvement with the DOCTOR WHO legend. Q: Do you remember how you got that assignment and were you familiar with the DOCTOR WHO franchise at that point? How were you asked to treat the new film? John Debney: I was a big DOCTOR WHO fan –I don’t remember how I got the job but I do remember that we really wanted to update the great Doctor Who Theme, but we had to do it on a very limited budget. It was all synths, as I recall. I don’t think we did any real horns in that, I think it was all synthetic. It was very quick job, and very low budget. Q: This movie serves as a kind of anchor point between the original series and the coming reboot nine years later, which of course you didn’t know about at the time. John Debney: No I didn’t. Who knew? At the time it was just a one-off, and then obviously years later the reboot was wonderful, but I had nothing to do with that. Q: Was there intent with this film to try to revitalize the franchise as a whole? John Debney: There was definitely an intent to revitalize the show and, I believe, to try to entice the powers that be to make it a series. As I recall I don’t think the ratings were so stellar that it happened, so it ended up being a one-off TV movie. Q: To what extent, aside from rearranging the main theme, did you want to – or were you asked to – emulate any of the original show’s musical ambiance? John Debney: The intention was really pay homage to the old show, but to really make it a brand new thing. I had a couple really good guys working with me – John Sponsler and Louis Febre. We wanted to give it a shot of adrenalin and do something new. 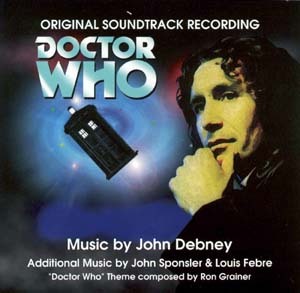 John Debney’s music for the DOCTOR WHO TV-movie was released in 2000 as a limited, promotional CD; the same tracks were included, along with 8 additional cues by Sponsler and/or Febre, as Disc 8 in Silva Screen’s 11-disc DOCTOR WHO 50TH ANNIVERSARY BOX SET in 2014. An 8-minute suite of Debney’s score is included in 2013’s 2-CD DOCTOR WHO 50TH ANNIVERSARY COLLECTION from Silva Screen. The music of the original DOCTOR WHO series (1963-1989) is covered in detail in Musique Fantastique, 2nd edition, Book One. The music of the revitalized series (2005+) will be covered in Book Three, forthcoming. 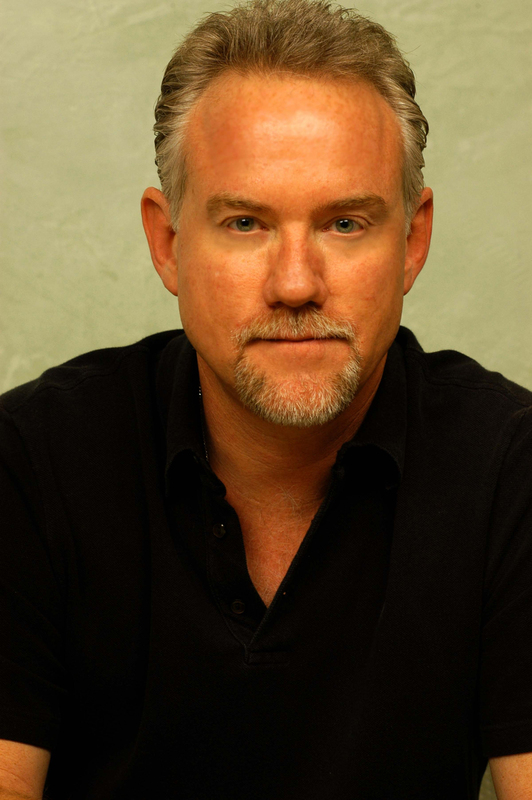 The work of John Debney, which includes many significant scores in the fantasy, science fiction, and horror genres, is covered in depth in Books Three and Four.